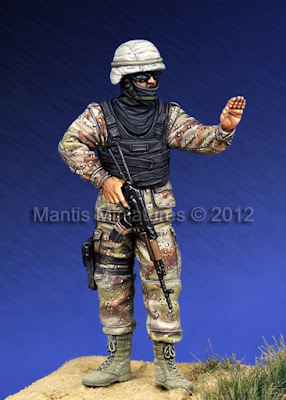 The Modelling News: Mantis May figure preview - A Checkpoint for reptiles? 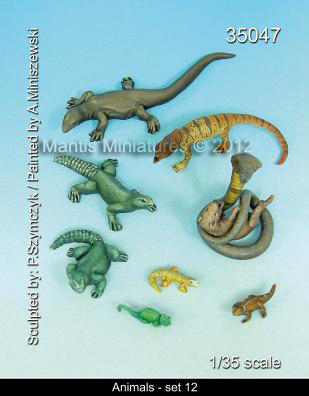 Mantis May figure preview - A Checkpoint for reptiles? 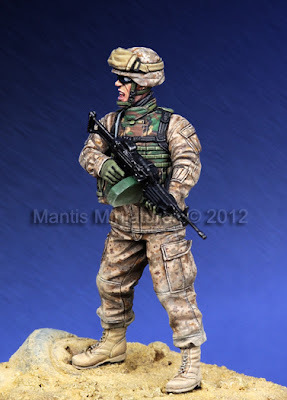 Sculpted by Dima Shevzov and in this case painted by the excellent by Man-Jin Kim - this figure was inspired by the picture of a marine in the 2004 Fallujah battle field in Iraq. 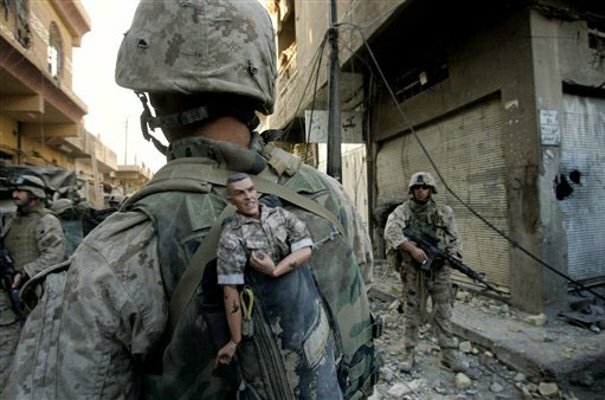 This shot is of a U.S. Marine of the 1st Division carries a mascot for good luck in his backpack as his unit pushed further into the western part of Fallujah, Iraq, Sunday, Nov. 14, 2004. Incidentally this photograph – the inspiration partially for this figure - is one in a portfolio of twenty taken by eleven different Associated Press photographers throughout 2004 in Iraq. 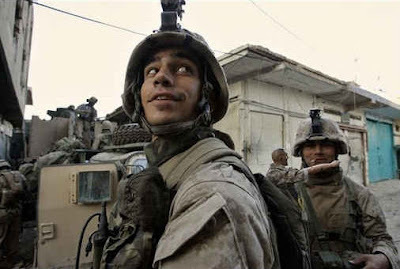 The Associated Press won a Pulitzer Prize in breaking news photography for the series of pictures of bloody combat in Iraq. 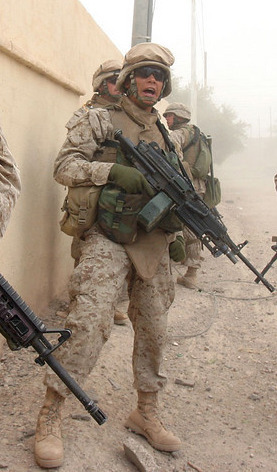 This second inspiration – the stance of the soldier holding his SAW was this picture - released by the U.S. Marine Corps, and made available Tuesday, Nov. 22, 2005, an antitank assault man, stands ready to advance with the Marines of Company I, 3rd Battalion, 6th Marine Regiment, Regimental Combat Team - 2 during Steel Curtain operation, in Qaim, Iraq, Tuesday, Nov. 15, 2005. 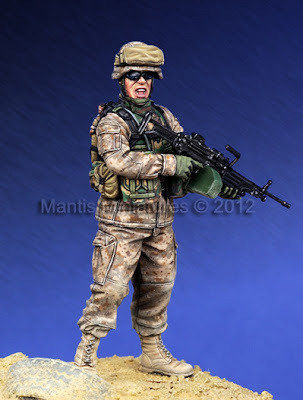 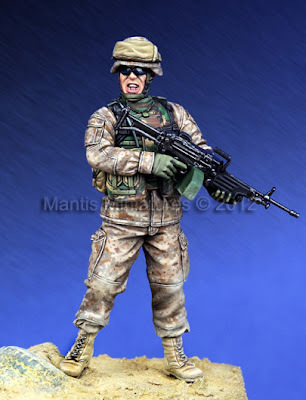 The soldier is in full battledress and carries a steel butted M249 SAW light machine gun, desert boots and standard helmet with visor protector. 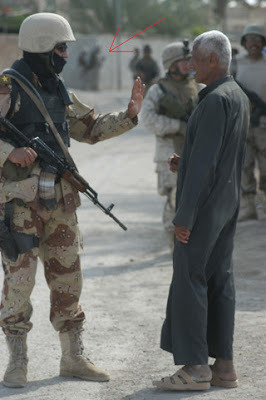 The new Iraqi army face many difficulties – retribution and retaliatory attacks – and especially at this time reprisals from the opposition forces meant many troops had their facial features covered – this soldier does in this shot which was part of the inspiration for this figure. 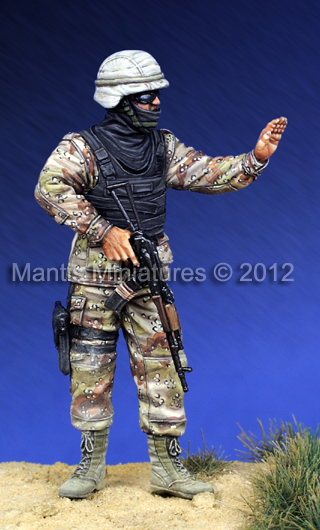 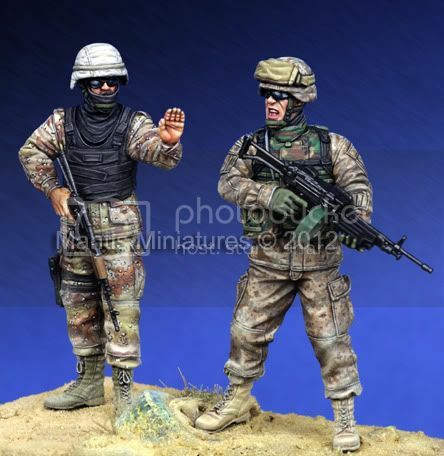 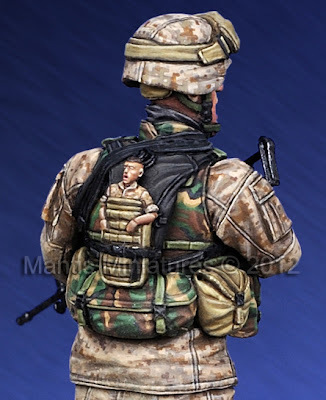 Both of these figures have been mated very well into this set called “Checkpoint” by Mantis - you could imagine them placed inside a roadblock diorama with the American Marine and his Iraqi counterpart doing vehicle checks and stop and searches. 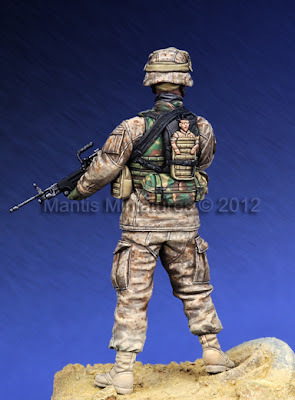 Well with an arid climate Mantis haven’t left you without accessories have they? 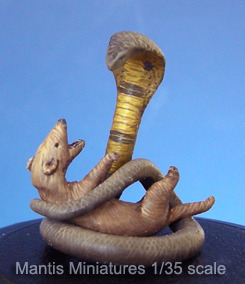 These animals from the reptile world in 1/35 - some large monitor lizards, geckos, a cobra killing a mongoose and even a chameleon will add a fine finishing touch to your modern war scene. 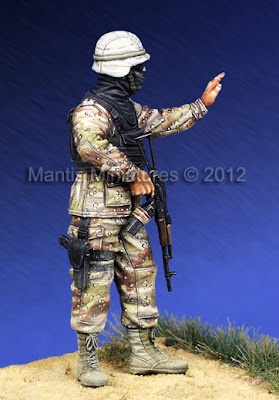 Even I suppose a good addition to any south East Asia diorama as well.